Why mess up with a good thing? My nut free version of Vicky’s worked great last year and it lived up to expectations this year. To make it more fun I used orange extract instead of vanilla and substituted the cognac with cherry rum. The result was cherrysome! How to make: Beat the butter with the confectioner’s sugar first at moderate and then at high-speed for about 20 minutes. Add the yolks one at a time and beat some more. Turn speed to lowest, switch whisk tool to bread tool, switch to lowest speed and add the flour gradually. If you are using nut, add them now. Then, add the cherry rum and beat a bit longer at low-speed. Make sure the dough is soft. Add some liquor if it’s too hard or more flour if it’s too soft. Start shaping the kourampiedes one at a time. I made two shapes this year using just my hands: round and boomerang. Arrange the “kourabiedes” on a baking pan lined with parchment paper or silicone cookie mats and bake in pre-heated oven at 170 C or 340 F for about 25-30 minutes. Let them cool off completely. 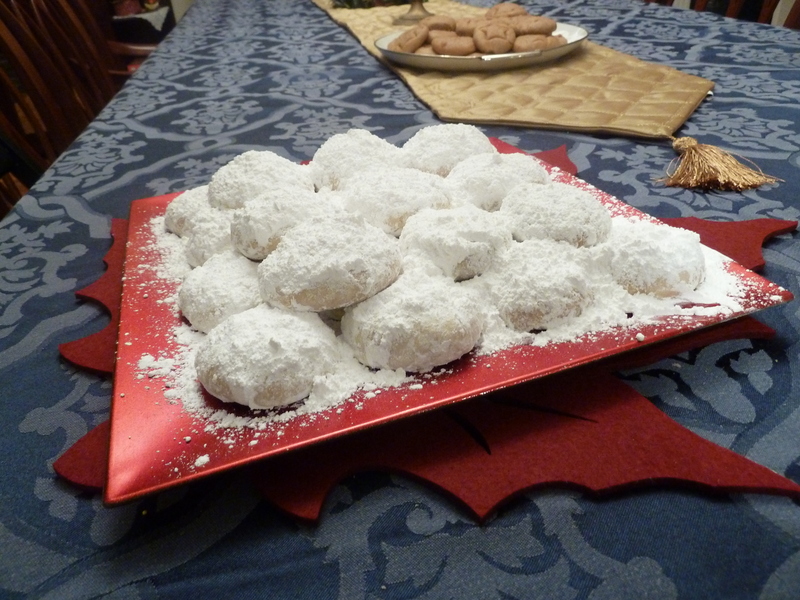 Brush them with some liquor (I used rose-water) and sprinkle confectioner’s sugar generously. 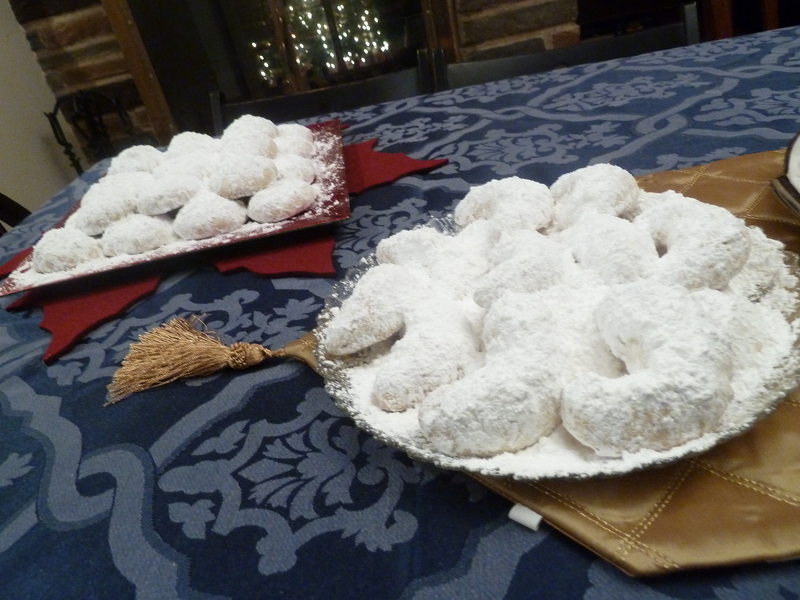 Indeed, I filled up a bowl with confectioner’s sugar and rolled the “kourabiedes” in it. Everyone loves them! You made them better than last year! Thank you, Melina. I, also, think they came out better than last year. We’ll stick with this version!